DRIVING to the French Beach the other day, I was reminded of just how ugly Karachi has become over the years: piles of garbage lined the rutted road, and shoddy houses were everywhere. Before this brief excursion, I flew to Lahore for a week and was struck again and again by the gulf that has grown between the two cities. No rubbish was visible, and growth was planned. The new ring road allowed traffic to flow smoothly, and the cops were surprisingly efficient. I recall that in my first stint in Lahore in the late 1960s after becoming a civil servant, those of us from Karachi used to look down on Lahore as a provincial hick town. Our new Lahori friends considered Karachi a swinging metropolis, far ahead of their sleepy city. That was then: it’s a whole different story now. Karachi was dragged down by urban terrorism initiated by the militant arm of the MQM from the mid-1980s onwards. It has only just halted its death spiral a few years ago, when Nawaz Sharif cracked down on the thugs who had taken over the city. Lahore has taken over Karachi’s mantle as Pakistan’s premier city. But the gang violence, terrorism and protection rackets that brought Karachi to its knees have taken a heavy toll. There has been little fresh investment, and many industries have moved to Punjab. Nevertheless, people from across the country have continued to pour in, searching for jobs. The result is an unplanned urban eyesore with around 21 million people competing for jobs and scarce resources like water, transport and electricity. The mess has been made worse by the wrangling between the PPP and the MQM. While the former rules Sindh, the latter has the majority of councillors in the local government. However, the PPP has been reluctant to transfer funds to the city government, and the result is visible in the form of piles of garbage all over the city. 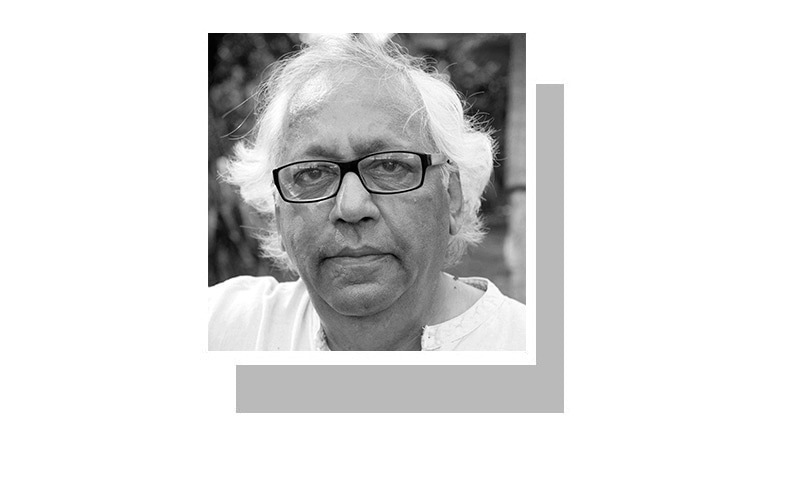 I suppose it would be too much to expect the two parties to work out a modus vivendi that would bring some relief to the beleaguered inhabitants of Karachi. No wonder both parties fared so poorly in the last elections. As Karachi has declined, Lahore has taken over its mantle as the country’s premier city. Going there now from Karachi is like visiting a foreign country. True, successive governments in Punjab have focused on the more exclusive areas of Lahore, and the recent desecration of the city’s priceless cultural heritage has been little short of criminal. But development has filtered across the city and the province to varying degrees. Whatever the truth about the allegations against Shahbaz Sharif, the fact is that he has done a great job in pushing Punjab’s progress. I met the head of the Department of International Aid, Britain’s aid agency, in Sri Lanka a couple of years ago. He was then based in Lahore, and said Punjab was the best province in Pakistan for making good use of British aid. Sindh, on the other hand, has suffered under a kleptocracy that has treated Karachi as its personal ATM. While Punjab’s ruling elite has taken pride in improving Lahore, our local and provincial governments have both milked Karachi dry. Land grabs are common, and most attempts at changing things for the better have been led by individuals and NGOs. This difference in attitude towards governance explains the gulf that has opened up between Punjab and Sindh. People who have driven from Karachi to Lahore speak of the sudden improvement in the quality of the roads as they cross over the provincial border from Sindh into Punjab. None of this is intended to suggest that Punjab has become a land of milk and honey overnight. But you get a sense that — until recently, at least — there was an authority driving change. In Sindh, there seems little desire for improvement as the rulers here are just too busy making money. One thing to remember is that Lahore had a huge advantage over Karachi due to its rich heritage of Mughal and colonial buildings and gardens. Karachi, by contrast, was an insignificant port city that had a few imposing colonial buildings, but little else. After Partition, it was overwhelmed by hundreds of thousands of refugees; and this flood has continued as people from other provinces have flocked here to find work. Given its limited resources, it is no wonder it has been unable to cope. But this should not be used as an excuse for the loot and plunder that has been going on. You Mr Irfan Husain said it best about Karachi. it is so depressing, sad and painful to see it the way it used to be and the way it is now. It is not so much internal migration to Karachi as it is utter neglect of the city and outright gross theft. The author has spoken the truth about declining status of Karachi. The infamous Bhutto’s quota system, the wealth plundering of the latter PPP and the creation of MQM have really brought Karachi down to it knees. My suggestion is that give the city administration to foreign companies for at least ten years. Hopeless state if it remains with the curse of PPP and MQM. For me Karachi was always a disappointment as it has very little history. It is full of concrete with very few green belts. Karachites had good business sense though and were very polite a yet persuasive salesmen, my last visit was over 15 years ago and much has changed I expect. Lahore is not a port city and I do believe that Karachi should be restored to its former glory. It's a melting pot of ethnic hatred and that has to be overcome. Mohajirs, Sindhis and Pathans have to learn to tolerate each other first. MQM has done much damage and I have no idea how this can be repaired. I am happy for Lahore and Lahoris but feel sad for Karachi my place of birth. I would advise fellow Karachites before starting finger pointing, we need an introspect. Lahore was first city in Pakistan after partition where the caravans of new Pakistani's from India arrived, Lahori's welcomed them with open arms, this tradition hasn't changed still Lahore is city of " zinda dillan " Lahorites show no arrogance toward any other city in Pakistan. Lahore has everything, history and historical places, educational institutes, world heritage sites, industrial base, and a major rail and road route connecting it with the world. Modern Lahore has everything like any other major world metropolis. Metro bus, orange rail is a new phenomena and a trend setter in Pakistan. Karachi has its own strengths however Lahore is a gem for tourism, and has much more to offer to the visitors compare to Karachi, and this trend will continue. I stopped reading when I reached "NS led the crackdown in Khi." Dear Sir, a very interesting article with true depiction of events. Nobody could have written this better. Many thanks for the share. As Karachi provides the most financial backbone to Pakistan, it should be governed by the federal government. Also, with the oil discovery near Karachi, unsavory deals will abound and Pakistan cannot afford another misstep. The only solution is to separate Karachi from Sindh, and make it into its own Federal Unit that will have its own administration. The city is way too diverse to be controlled by interior Sindhi vaderas. @Prateik, you should be worried about modiz election. @Sameer, He did . It was during his period there was this Zarb e Military operation. Nawaz Govt then supported and financed it . Credit where due. Lahore and Punjab are seen as for,us, we and by Punjabis. Karachi is seen by Sindhis as land of Muhajirs from India or outsiders. New set of outsiders like Pashtuns are added. Why would Sindh spend money on it instead of its own Sindh rural regions ? May all our cities and citizens prosper and flourish. PML-N govt has done an admirable job improving Lahore's infrastructure. Shabaz Sharif as a prime Minister can develop all Pakistan main cities as Lahore . When Karachi funds about 75% of national exchequer which again conveniently get diverted to fund the development of Lahore at the cost of the rest of the country reflects the mind set of then ruling party. It is a shame the funding required to maintain basic and essential needs of Karachi was deliberately denied or blocked resulting in criminal neglect of the major metropolis which was once enjoyed the title of one of the fifth best cities in the world. The downfall started when the capital was shifted to Islamabad. It all started with Ayub Khan coming into power and his policies ruined everything in Pakistan specially Karachi.Thereafter,every ruler did the same.Shame and curse on all those who have ruined my Karachi and continuing to do so.The ugliest thing of Karachi is that everyone take undue benefits from this city but fail to contribute.They come,take and leave with the loot as all the government servants trail will indicate,a reality that cannot be challenged. Agree. However unfortunately this has been true for quite a long time now. I grew up in Karachi, but would not look forward to moving back there. It has just become a dump, in more ways than one. Thank you, Mr. Irfan, for your accurate description of my city. I can tell you as I live here, the houses where one family used to live now accommodate six families, and it became legal to sale and purchase a portion of a house. There is no line between commercial and residential area, high rise building can be erected in front of your house in residential area. Despite lack of resources migration has not stopped. Eating in public feels like a great sin as beggars surround you from all over. Pile of garbage is everywhere. The elites of Lahore must have made huge progress in Lahore, but they have not improved the situation of people. Migrants from Pakistan are thronging to Greece for asylum in Europe. I am currently in Saudi Arabia and I can tell you a large number of people from Pakistan is involved in begging in Makkah and Madinah. It sounds much realistic, if the title says Karachi is an ATM for Lahore. I visited Karachi for few days last month after many years living in US. It was a pleasant experience. With all the hue and cry of garbage, crimes and increasing slums, Karachi remains as vibrant as ever. People were out in middle of night, shopping, eating etc. I saw more job growth in Karachi than when I was living there in 1990's. I would also like to disagree with the author of only pointing out PPP and MQM for Karachi situation. Militant outfits of all political and religious parties are present in Karachi for bhatta khori. There money comes Karachi. Despite PPP government completely neglecting Karachi and draining its resources, Karachi remains the metropolitan and cosmopolitan hub of Pakistan. Punjabis never misses to show their power. "Karachi was dragged down by urban terrorism initiated by the militant arm of the MQM from the mid-1980s onwards." There are other factors too...Waderas of Sindh and Jagirdars of Punjab never let Karachi develop fully! People sitting in top posts in Islamabad are an other matter! During the past three decades, while Karachi was being transformed into Mohenjodaro by internal and external actors...the elite in Islamabad and Lahore did not bother to take corrective action! They let Karachi burn! Sharifs may have poured lots of concrete in Lahore (at the expense of poor of Punjab) making it a concrete jungle, but the fact remains that Karachi is the Intellectual Capital of Pakistan...Karachi is where the Intellectual Capital of Pakistan resides! Karachi will develop and progress, only if Federal Government takes ownership of Karachi, bypassing Wadera Inc. and allocating significant funds (no lollypops/peanuts) for infrastructure development! People of Karachi have suffered enough! The author is perpetuating the myth that 21 million people live in Karachi. According to the census it's more like 14 million and Lahore is home to 11 million. The gap has narrowed because Lahore is developing faster. @Patriot , first of all it is 57% not 75%, and even that is due to tax from industries in Punjab. Secondly, Lahore was developed using Punjab's resources. Instead of finger pointing try to get some one different than ppp or mqm in sind. PTI govt should draw immediate attention on this metropolitan city for they have now sizable voters in Karachi. Never visited Karachi other than a short stay in 1951. While spending my days in East Pakistan and now Bangladesh I used to hear from friends that Karachi is a thriving cosmopolitan city with almost a Western life style, etc. For example, Karachi was an international airlines hub. Now Karachi airport has lost its prominence as Pak govt. has opened up other airports around the country to international carriers.This has made PIA to lose its monopoly too. Punjab is doing to Karachi what Delhi did to Kolkata (Calcutta) in 1969/70s. On grounds of Naxal terrorism activities Delhi encouraged all international flights to move to Delhi and Mumbai. Industries and multinational companies moved out too thus Kolkata lost its prominence. Absolutely spot on ...... last Sunday I took a foreign guest to Hawksbay beach and the road trip was an embarrassment ..... the beach was dirty. One is forced to wonder where has all the billions allocated over the last two decades for betterment of Karachi gone ..... to Dubai and London ? Substitute Mumbai for Karachi and Delhi for Lahore. Substitute Shivsena for MQM...! Once before Partition, Karachi was the Paris of the East. It has just not been kept as such, especially after shifting the Capital to Islamabad. @Wellwisher, Bombay (Mumbai) collects 75% of India Income taxes! Accurate description of the two cities . “ A tale of two cities “ , so to say . Sir you have very rightly pointed out the karachi present state and those who are responsible for it. But i disagree with the word ' refugee' you used for migrant Moreover what is the solution ? Migrants from other provinces and neighbouring countries are in Karachi because it's still able and vibrant to look after them. Similarly people move to Lahore and Faisalabad for jobs. Main issue is mismanagement and corruption. Karachiite whether they are Sindhi, Urdu Speaking, pathans or punjabis need to gell together as a family, own their city and then demand efficient and effective development of Karachi. It's a "news" for me that MNS ordered action against MQM! But the recent International Survey called Karachi as one of the cheapest cities to live? Karachi was not prepared for post independence massive migration from India nor can it now cater for the internal migration from all over the country. The solution lies in developing more urban centers across the country with sufficient employment opportunities. If not the more you develop Karachi’s infrastructure the more migration it would attract. Karachi would never get out of this vicious circles. As for the narrative that PPP has neglected Karachi it is just an erroneous view as this just a part of the picture and not the whole picture. Present day PPP is tainted with corruption and inefficiency. Which part of Sindh is not reflection of this and where in Sindh has PPP has utilized its resources to develop and uplift it be it an urban or rural centre. If u look at the dynamics and demographics of both cities, there is no comparison b/w the two. Karachi has been the victim of Punjabi and Sindhi ugly and biased bureaucracy. Karachi has been the victim of PPPs negligence and corruption. Karachi has been the recipient of huge influx of Afghans, Pashtuns, Saraekis, Bengalis, Interior Sindhis, Balochis and "Hindustanis". Now which demographic group did what to the city is something i dont wanna get into... Because all are our very own. But please stop comparing Karachi with Lahore. There is no comparison. What you should do instead is give a due credit to Karachiites and Karachi the city of lights for their resilience, tolerance and patience. Good article. Misguided Karachiiites are responsible for the scenerio. described. The linguistic party without direction and whose leader is in UK Metropolitan, is squarely responsible, while the feudal class of rulers in Sindh their partners too are reason for degradation of Karachi. Karachi could rejuvenate provided LG be given free hand under honest men. A board of governors, comprising Vice Chancellor Karachi University, Governor Sindh, Karachi Chamber of Commerce,FPCCI, must monitor Karachi Affairs.It can regain its honor. I could not agree more about the decline situation of once the "CITY OF LIGHTS". I have loved this coastal city from childhood and after 30 years of romance, I had to move to Lahore to allow my self enjoy the feel of better civic sense and relatively safe metropolis. Behind every dirt and destruction culprit bureaucracy and corrupt politicians are involved. To save the nation fix bureaucracy and put all politicians behind the bars. "After Partition, it was overwhelmed by hundreds of thousands of refugees" sir please understand that an equal and probably higher number left Karachi and Sind for India. All in all, West Pakistan got a sweetheart deal during partition, and had the highest per capita land availability by far among the parts - itself, India and East Pakistan, and is still the case today despite much higher rates of population growth. It is time make Karachi as separate province; it is not a job for landlords of Sindh to run the city please hand it over to people of Karachi let them fix it. Keep rangers and all military organization out of it. Good article, Karachi requires new (young) blood to revive and run it, Lahore is a shadow city and lights cast shadows as we know. Your para 3 of this write up relates when sanity and honesty prevailed "I recall that in my first stint in Lahore in the late 1960s after becoming a civil servant--,,Our new Lahori friends considered Karachi----".Now Sir please count the civil servant from Karachi.Last induction of 32 Asstt Commissioner in Sindh all from rural Sindh.Karachites survival in separate province. I visited Karachi first time in the year of 1961, the city was full of people - lots from Hindi speaking belt of N.India. Many were before the partition were from poor to rich families. One of our taxi driver was such a person who spoke with a touch of deep sadness of leaving or loosing something behind that was very dear to his heart. I don't recall what he said! He looked very much like my neighbour in our Hindustan. Karachi was full of green and empty spaces then. Also good roads in the city. Few days later I left the city on my way to USA. I often ask the question even now. Why should one leave from ones's home forever where one and his ancestors lived for centuries? You should thank the Pakistan Peoples Party for destroying the beauty of Karachi. Also the illegal immigrants who entered & settled in Karachi from the Interior of Sindh, Punjab, Balochistan, KP, GB & Azad Kashmir, thus making the Karachi city overcrowded & dirty. I am not agreed with ur comments for the dragging condition of Karachi that u mentioned in ur Artical. Whatever Sindh & karachi Local government has been do.e or reluctant to do the things for.the development of this ity of Lights . But there is another government who should take some action for this City & People of this City if they feel the injustice in resource and power distributions, Like wise now a days . Karachi still has a great potential to move forward but it's a tragedy that people at the helm of affairs do not have roots in Karachi. The people who belongs to Karachi neither have powers nor have any will to change it. Karachi has carried the whole country on its shoulders since Aug 14, 1947. The population of Karachi was 1 million in 1947. Today, it is 22 million. I was born in the 1980s, and clearly remember Karachi being a clean, green, well organized city. This city has been milked by successive federal and provincial governments, and knocked down by those who have come here to make a living without giving anything back. As Pakistanis, we are happy for the development of Lahore and other parts of our country. But to mock your golden goose and treat it as a second rate city is ridiculous. How many Colonial Buildings Miami, Florida has? 112.8 million tourists visited the Sunshine State in 2016, up 5.9%. 68 million tourists visited Orlando Florida (Disney World) in 2016. 2.25 million tourists visited the Florida Keys in 2016. How many tourists visited the Miami Beaches each year? 15.9 million visitors traveled to Miami-Dade, representing a slight increase of 0.5 percent from the previous year. How many Tourists visit Disney World Orlando Florida each year? Karachi is for Whole Pakistan, but it should get its due share. Today many people dont even know that the real inventor of so called ethnic based quota system was liaqat ali khan and bhutto just flipped that back and I personally think it is only karachi today where a non-native can easily do and grow business. People from punjab are second largest proportion of population of karachi after locals and this number keeps on growing despite all those wonder sayings of Lahore in this writing. Quota system was not introduced by ZAB. But it was introduced by Liaquat Ali Khan for immigrants from UP. Telling the truth will help to resolve the problems. I wish the writer had given solution for the Karachi problem. No body wants to annoy PPP sindh government and be called anti national. Karachi contributes to national treasury more than combined revenue of rest of the provinces beside filling pockets of corrupt politicians.Hence money is no problem, it is bad governance and corruption. All the government departments are stuffed with political cronies of PPP. Sindh government treat Karachi as an illegitimate child. PPP in spite of very poor performance in entire Sindh, including Larkana, wins election by playing ethnic card. Never ever an Urdu speaking politicians from any party has been Chief Minister of Sindh. Ethnic politics can be curtailed by giving control of Karachi to Karachites through its own legislative assembly. After this PPP will not be able to exploit Sindhis and will have to deliver in rest of the province, otherwise will be kicked out.This will also end ethnic politics in Karachi and hold of MQM. @MAD I live in Karachi. Part of the problem is that people ignore the facts and substitute their own wishes in its place. The 20 million figure is a figment of politicians' imaginations. It is used as an excuse for the shoddy state of affairs in Karachi. NZ started crack down on the criminals is grossly misstatement. He has no other way but to oblige the obvious..
Imran Khan has not delivered any thing for Karachi! His people are reaping benefits of their investment on him. Karachi is the Dream City of the great Sir Syed Ahmad Khan.Problems come and go but the dream of achievement and ultimate success never dies. Border it off, control the population flow like Dubai. Visa system based on job grade or property ownership in Karachi. @Khan, He neglected South Punjab, you are talking of Pakistan. @Justicefirst, Mind Karachi and pakistan were booming during Ayoob Khan. Its economy was much ahead of any country in the region.Bhutto applied dangerous break and ruined Karachi and Pakistan, still he is hero and Ayoob a dictator. I don't know why does it feel a little odd when a seasoned analyst uses expressions like 'loot and plunder' and unfeignedly talks of 'the militant wing' of a political party. Such expressions a little while ago would have appeared oversimplified and uninformed had they been used by a layman. SO PPP is robbers' party and MQM a party of goons, right? Mr. Husain is just spot on! Look at the roads and sewerage situation of Sector 11A, North-Karachi, where there is no distinction left between gutters and roads. KWSB needs a complete overhaul and their officers' criminal negligence should be trialed. The mammoth should be broken up into separate boards to work efficiently.